On the Opal Coast (Côte d'Opale), Équihen-Plage is a family resort with an unspoilt coastline of cliffs, dunes and coves. 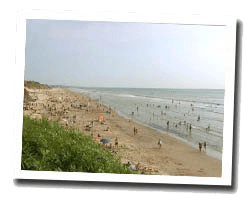 At the seaside, you will find a long sandy beach where you can enjoy sea bathing and water sports. Équihen-Plage is famous for its boat hulls formerly used as homes by fishermen. 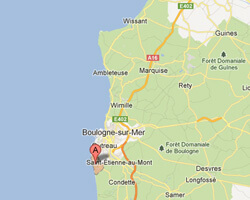 In Equihen-Plage enjoy a seaview holiday rental. 3 rooms House in a residence. Terrace, garden with outdoor furniture. View of the sea and the beach. 2 bedroom villa in a landscaped shared park of 6 hectares. In a green and quiet area. Terrace overlooking the beach. close to a beach (one road to cross). Price from 560 € to 700 €. bedroom villa in a landscaped shared park of 6 hectares. In a green and quiet area. Terrace overlooking the beach. close to a beach (one road to cross). Price from 840 € to 1000 €. Located in Equihen-Plage, these villas offer a private terrace with views of the beach. You can drive the 15 minutes to Boulogne-sur-Mer or explore the 6 hectares of surrounding parkland. Located in Équihen-Plage, Le Grand Bleu offers a terraced villa for 4 people with a sun terrace. Le Grand Bleu is 17 km from Touquet-Paris-Plage and 38 km from Calais. Price from 960 € to 1085 €.